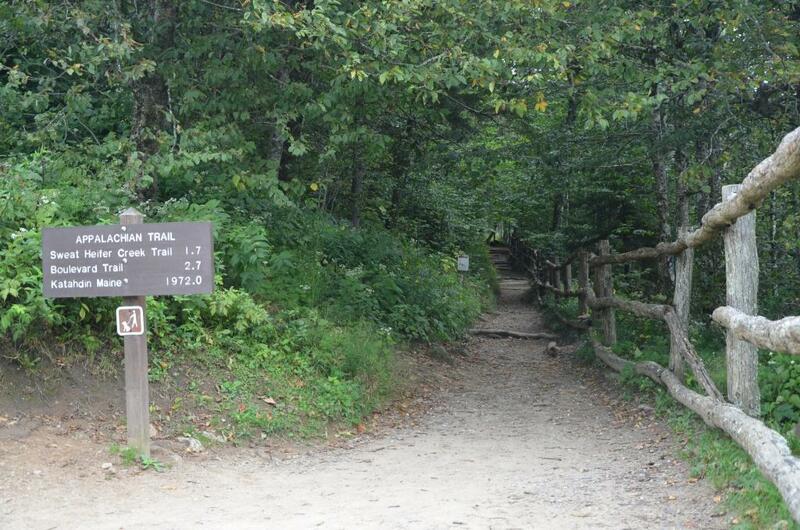 Smoky Mountains trails provide access to the majority of Great Smoky Mountains National Park. There are over 800 miles of Smoky Mountain trails to hike. Smoky Mountain trails around Clingmans Dome and Andrews Bald. Hiking the Smoky Mountains trails offer the ability to experience parts of the park that are not accessible by car. The sights, sounds and smells of the natural world elevate the senses in a manner that is not experienced behind a windshield. Smoky Mountains trails include seventy miles of the Appalachian Trail. The 2, 174 –mile Appalachian Trail ranges from Georgia’s Springer Mountain to Maine’s Mount Katahdin. Through the Smoky Mountains, the trail follows the ridgeline of the North Carolina and Tennessee state border and only crosses one road. The Appalachian Trail at Newfound Gap in Great Smoky Mountains National Park. Backcountry hiking on the Smoky Mountain trails provide the opportunity to explore the more remote wild areas. All overnight backcountry camping requires a backcountry use permit. The Great Smoky Mountains National Park has a Backcountry Information Office (telephone: 865-436-1297) that can answer questions about hiking the Smoky Mountains trails. 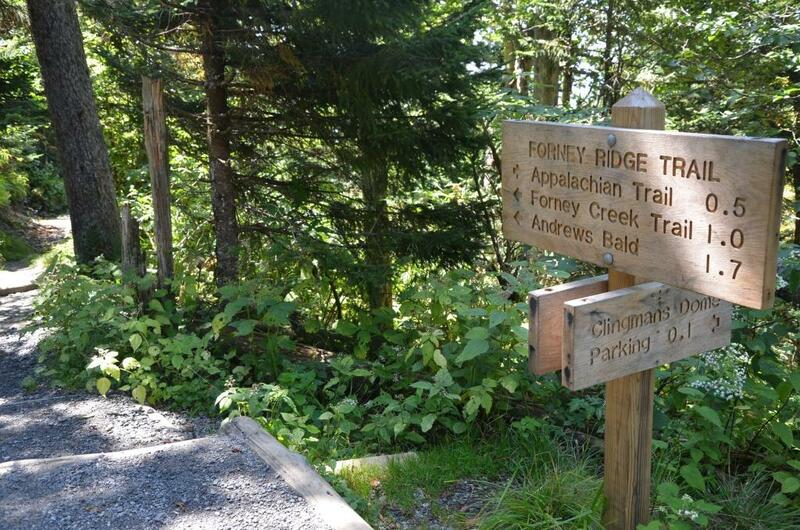 Andrews Bald – A 1.7 mile hike along Forney Ridge Trail starts from just below Clingmans Dome, the highest peak in the park. The 900 feet in elevation change for the roundtrip hike offers the rewards of the magnificent views of the Southern Appalachians. Mount LeConte – A strenuous Smoky Mountains trail that extends 5.5 miles up the Alum Cave Trail to the summit of Mount LeConte. The trail climbs 2,763 feet to the third highest peak in the park. Laurel Falls – Conveniently located less than four miles from Sugarlands Visitor Center, the 2.3 mile Smoky Mountains trail leads to Laurel Falls with only a little over 300 feet in elevation gain. From Laurel Falls, there is an option to continue another 2.7 miles through virgin timber stands to the old fire tower at Cover Mountain.